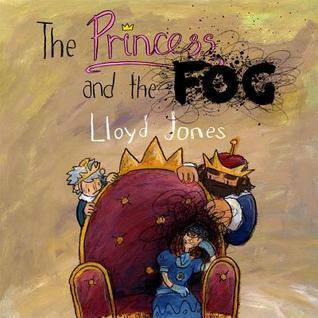 The Princess and the Fog by Lloyd Jones | An honest book review. Any good book that opens up about mental health, particularly child mental health, and brings it into the public eye is a five star hit in my opinion, and this is one of the first examples of its kind that I have come across! I am very familiar with childhood depression (not to be confused with periods of low mood which are perfectly normal)having lived with it myself from as young as 11, and having very close contact currently with four children under 16 who also live with depression and receive medicinal and counselling help with it. A fog is how I have always described depression and this book describes and illustrates simply and beautifully the onset of depression, the experience of it at its worst, and the various self-help methods available to deal with it. More importantly, ‘A Guide for Parents and Carers’ at the back of the book and written by medically qualified professionals does differentiate between low mood and depression, assisting in defining the two. Despite the difficult subject matter, Lloyd Jones succeeds in addressing depression with sensitivity, humour, and without being frightening or intimidating. This book gets full stars from me!